Of all the roles that a mother transitions into over the course of her child’s lifetime—scraped knee kisser, timeout enforcer, PB&J maker—one of the most crucial is guide: a true North Star not only to her own precious kin, but also for the generation of offspring her children will one day have. 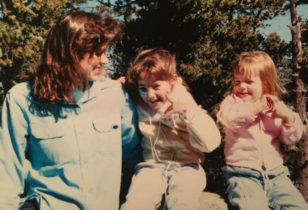 In today’s present landscape where life feels a bit unsteady, polarizing, and sometimes quite scary, how is it that moms can help pilot their kids—specifically their young girls—in the best way they know how? To My Daughter… is a short film created by multi-faceted and wildly talented photographer Justin Coit positioned around that very question. 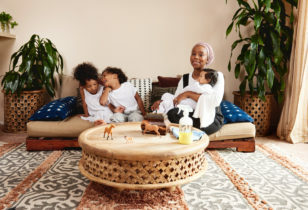 Coit, who has worked with the likes of clients ranging from A-list celebs to corporate powerhouses, takes a step back from his day job to spotlight moms of all backgrounds and experiences in this brief, but powerful piece, and just in time for Mother’s Day. In the 1:52 video, the mothers speak on everything from shaking off the mean girls to pride in heritage to hints of #blackgirlmagic. It is a beautiful work of art that reminds human beings of all backgrounds, experiences, and roles that the relationship a mother has with her daughter is an irreplaceable bond unlike any other, and the lessons a mother teaches her daughter are those that stay with her forever. Enjoy!